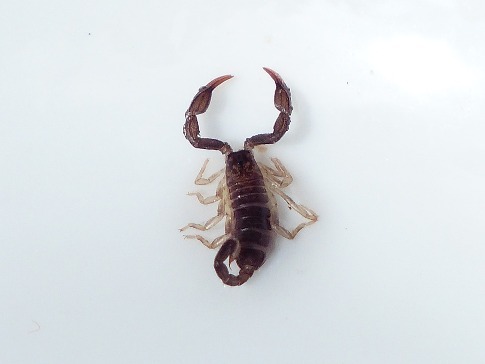 Scorpions will not damage your property, but their presence at home is hazardous and a nuisance when they invade. Another species you are likely to confuse for a spider is the pseudo-scorpion, which is harmless and only feeds on small insects. To discourage scorpions from wandering into your house, you need to get rid of what draws them. They are small animals that enjoy dark corners because they are nocturnal. They are likely to cause more damage at night, and the other reason is to conserve water because of the cool atmosphere they enjoy at night. The basement is a favorite hotspot, and they will keep wandering to colonize dark spaces. The best way to hunt them down is to use a black light, which will reflect on its exoskeleton to create a blue reflection. We all need water to survive and so do scorpions. When the weather changes to hot spring and summer, you will see them coming into homes searching for water. However much you seal your home, experts from scorpion control in Gilbert will tell you that some still find their way through pipe drains and the plumbing system. With that in mind, you know the kitchen, washing area, and the bathrooms are hotspots. Scorpions’ will lurk where leave and logs are left to rot. If there are piles of decaying wood within the compound, then you should look for them hiding under the dampen leaves, straws, logs, bark, and mulch. Clear all this rot and you will not see any sign of scorpion around. A scorpion will only feed on insects as a significant source of food. If the number of insects increases by the day, you notice quite a good number of scorpions. The same potent venom they use to disable their prey is not strong enough to cause serious harm to humans. Scorpions move into your house to stay; it is up to you to look for the best scorpion exterminators and start destroying their new habitat. Leaving them there would mean giving them the freedom to breed which will worsen if you take no action. You need to make sure that as a homeowner, you maintain an acceptable standard of cleanliness in both the yard and the house. Use a pair of gloves while cleaning should be the way to go. Look for gaps and cracks on walls, windows, vent, and pipes leading into the house. Make sure all cracks have proper sealing because scorpions can use the smallest crevice to pass through. Use caulk or weather stripping to seal the cracks. It is not a bad idea to liaise with pest control office in your neighborhood because when you spot scorpions, other pests like termites might wreak havoc at home because termites too love rotting wood and leaves. As you hunt to scorpions inside your house, make sure you use a measure that eliminates other pests as well.